The state’s school education department has given one day’s extra time for applicants to confirm college seats allotted to them in the first-year junior college (FYJC), on account of heavy rains today. 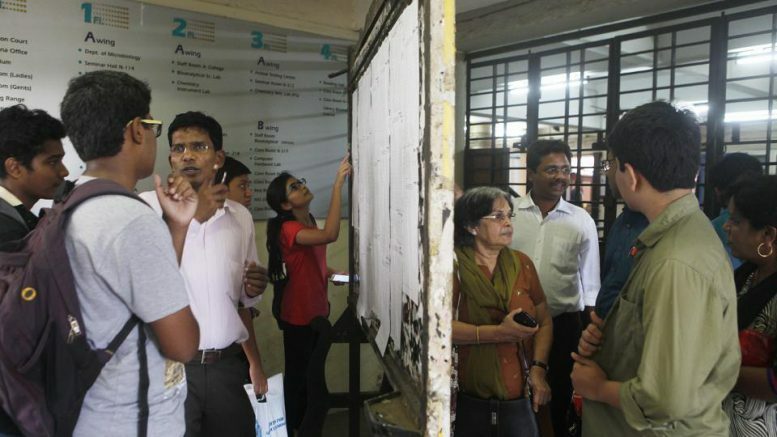 Aspirants can now approach colleges and finalise their seats till 5pm on August 30. Earlier, the department had set Tuesday as the deadline for admissions. A circular issued by the department on Tuesday late afternoon states that the deadline has extended owing to the heavy rains in Mumbai and its suburbs. “It might not be possible for students to go to junior colleges today as the trains are down due to the rains. So we have given them more time to secure admissions,” said R Ahire, deputy director of education, Mumbai region. On Sunday, the department had instructed colleges to keep their offices open on August 28 and 29 despite Ganapati vacation so that students can secure admissions soon and do not miss out on lectures. Over 3,500 students allotted leftover FYJC seats on a first-come-first-serve basis. These students included those who were not allotted any seats or did not take admission in the previous admission rounds. Students scoring between 80% and 100% asked to apply on August 21, followed by above 60% scorers on August 23. Finally, all the leftover students who have passed class 10 board exams could apply on August 26 and 28. Be the first to comment on "Heavy rain in Mumbai: FYJC students get extra day to confirm college seats"